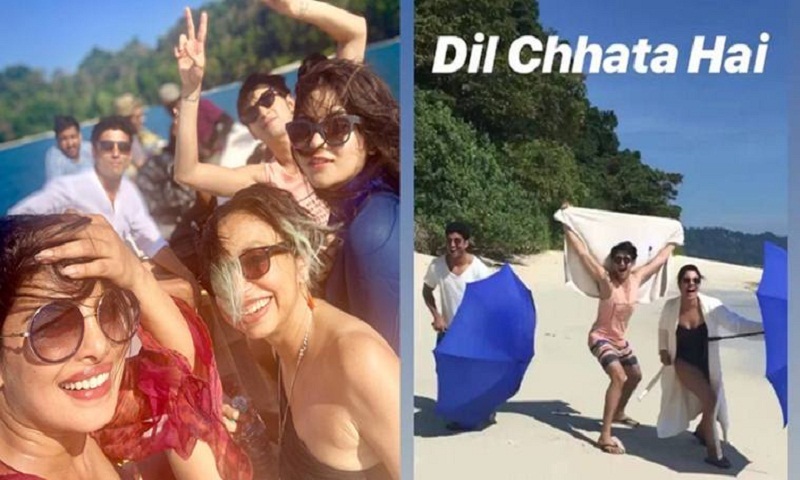 Priyanka Chopra recently resumed the shoot of Sonali Bose’s The Sky is Pink in Andamans. This is said to be the last schedule of the movie which is slated to hit theaters on October 11 this year. Joining her is other cast members of the film including Farhan Akhtar, Zaira Wasim and Rohit Saraf. The Sky Is Pink is, reportedly, based on the life of motivational speaker Aisha Chaudhary, who was diagnosed with pulmonary fibrosis. But the director has clarified the film is a love story of Aisha’s parents and is not based on Aisha. “Pulmonary fibrosis is a part of the film. It is a true story and it is the journey of how you deal with it,” she said. The film marks Priyanka Chopra’s first Bollywood project after two years. She had last appeared in Prakash Jha’s directorial Jai Gangaajal, which released in 2016.